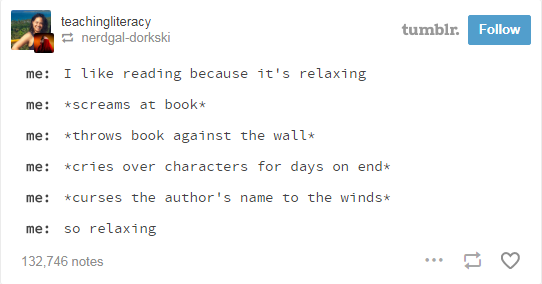 Book reading is a good habit. 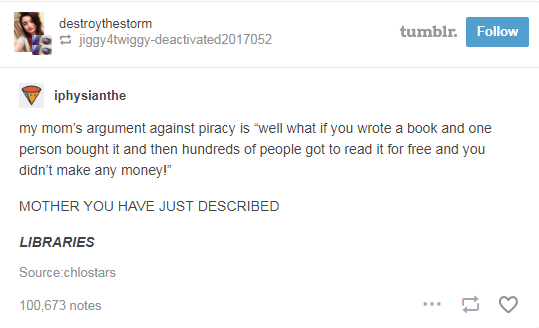 People like to read books according to their taste. Sometimes it converts into a funny situation when someone read a story from a book and at the end of the part there is no conclusion of that story then reader realizes that they waste all their time to read that book. Some naughty people like to mix books name with other items make funny names and share with friends. Here Readers Cave presents 16 Jokes About Books That Are Pretty Goddamn Funny. #1 Feeling Relax After Reading Book. 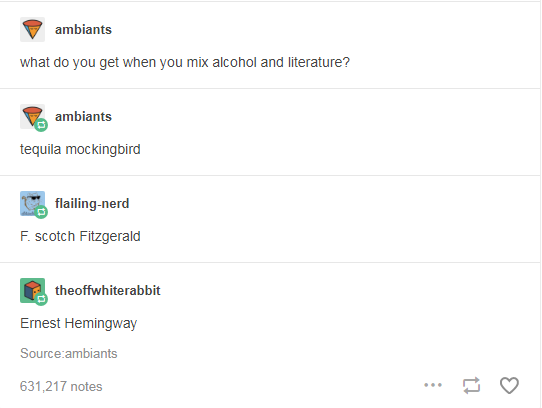 #2 What Do You Get When You Mix Alcohol And Literature? 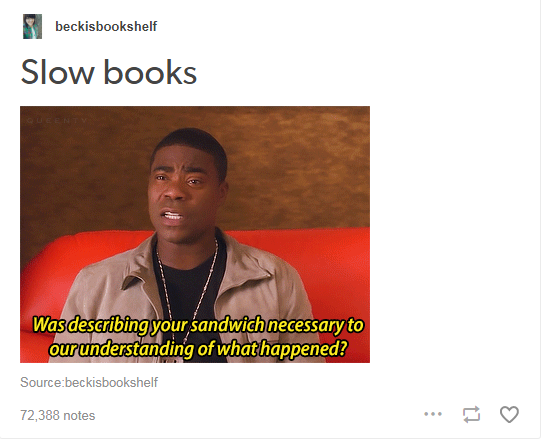 #3 Slow Books….. Was Describing Your Sandwich Necessary To Our Understanding Of What Happened? 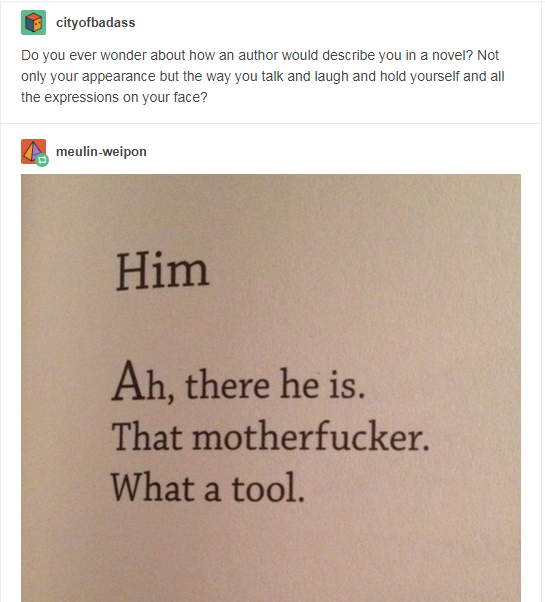 #4 Do You Ever Wonder How An Author Would You In A Novel?